Back in December 2015 the Federal Trade Commission rejected Staples’ $6.3 billion attempt to acquire competitor Office Depot, filing a lawsuit to block the deal. Recent developments in the acquisition both in the US and abroad may give Staples the edge they need for approval pending their trial which is scheduled to begin on May 10th. 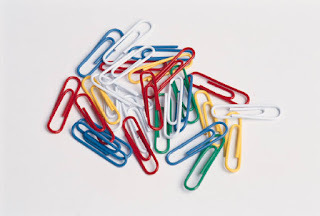 The initial reasoning behind the FTC opposition was the risk of competition in the business to business office supply market becoming nonexistent. Staples and Office Depot are the two largest players in the industry respectively, and the merger could eliminate the price stability that is driven by competition. The third largest provider of commercial office supplies in the U.S., WB Mason, is regional to the Northeast and Midwest and as such does not make a significant impact as a direct competitor. The FTC’s focus on preserving competition for enterprise accounts stems from the evaluation that the merger does not pose a risk to the average consumer who can just as easily purchase a package of pens or paper from Walmart or Amazon. In order to combat the threat of a monopoly, the FTC discussed a proposal in which Essendant (formerly United Stationers) would overtake a portion of the wholesale accounts from Office Depot and Staples, focusing on accounts for which the companies are supplying to woman and minority owned office supply retailers. The companies announced yesterday that they have reached an agreement to divest $550 million in business with approximately 50% stemming from Fortune 500 contracts. Contingent upon the closing of the merger, Essendant will be purchasing the contracts for $22.5 million. The decision is sure to ease the mind of commercial customers as it not only dilutes the B2B power of Staples and Office Depot, it also boosts Essendant’s presence as a national competitor. The increase in presence will also allow Essendant to build their capabilities and improve collaboration with independent dealers to further enable national competition. While the purchasing leverage of Staples will be larger than ever before, they will still face pressures to offer competitive pricing for both consumers and commercial customers. In addition to this new development, last week, the European Union signed off on the merger. Similar concern for reduced competition was existent overseas, with a particular focus on competition in the international supplies market. At this time Staples, Office Depot, and UK based supplier Lyreco are the only companies capable of entering into international contracts. The approval followed an agreement for Office Depot to divest their contract distribution business in the European Economic Area and Switzerland as well as their entire business operations in Sweden. The EU ruled that these divestitures were sufficient to reduce competition concerns and sign for approval. The nudge from the European Union combined with the Essendant agreement may be enough for the FTC to move forward with the approval of the merger. There is, however, the possibility that come May 10th the FTC will decide that the $550 million in US divestitures is not enough to mitigate competition concerns. Should the merger pull through, it will be interesting to evaluate the impact the deal has on companies included in the divested contracts, and if it will truly allow minority and woman-owned companies to compete nationally. Source One's Office Supplies Strategic Sourcing experts will be at ISM2016, where Source One is the exclusive sponsor of the Exec IN forum. Want to save on registration costs to attend this landmark event? Learn more over at SourceOneInc.Com.